Located approximately 25 minutes (17 miles) east of the Las Vegas Strip, the master-planned Lake Las Vegas community & resort in Henderson is nestled in a 2,200-acre canyon surrounding a 320-acre private man-made lake adjacent to the Lake Mead National Recreation Area. The luxury community offers 10 miles of lakeside shoreline, as well as two luxury hotels, a casino, spa, lake cruises, private clubs, a marina, helipad, sailing, miles of walking/jogging paths and three separate golf clubs (with a fourth currently under construction). Montellago Village at Lake Las Vegas also offers a variety of fine dining and world-class shopping, literally at your doorstep. The casino resort at Lake Las Vegas is home to many entertainment attractions year round, including indoor and outdoor concerts, Shakespeare in the park, 4th of July fireworks and more! The Mediterranean themed Lake Las Vegas is home to 19 distinct residential communities, featuring panoramic views of the lake, mountains, golf courses and the Las Vegas Strip. When fully completed, the master-planned Lake Las Vegas luxury community will have about 9,000 total homes, including condos and single family homes. Contact our Lake Las Vegas Home Buyer Specialist department at (702) 858-7598, or via email, for a free Lake Las Vegas home buying consultation. 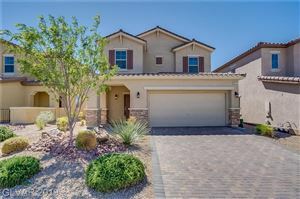 For additional information on selling your property in Lake Las Vegas, please contact our Lake Las Vegas Listing Specialist at (702) 858-7598, or request a free home comparative market analysis here. What is my Lake Las Vegas Home Worth? How much will my Lake Las Vegas Home Sell for?